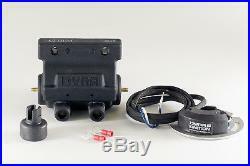 DYNA S ELECTRONIC IGNITION KIT. 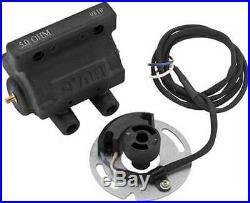 Stock replacement type ignition system is self-contained and fits under the stock timer cover. Unique hall-effect sensors are impervious to dirt and oil. Spark scatter is almost eliminated. Timing changes less than 3 from 0-8000 RPM. Eliminates maintenance and extends spark plug life. 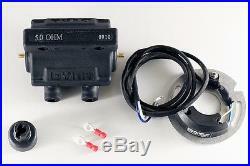 Includes ignition module and a DC7-1 5 Ohm coil. ATV Galaxy is an authorized Dynatek dealer located in Irvine California. The item "Dynatek DSK6-1 Harley Davidson Ignition Dyna S Dual Fire Includes DC7-1 Coil Kit" is in sale since Tuesday, October 11, 2011. This item is in the category "eBay Motors\Parts & Accessories\Motorcycle Parts\Electrical & Ignition\Other Electrical & Ignition".